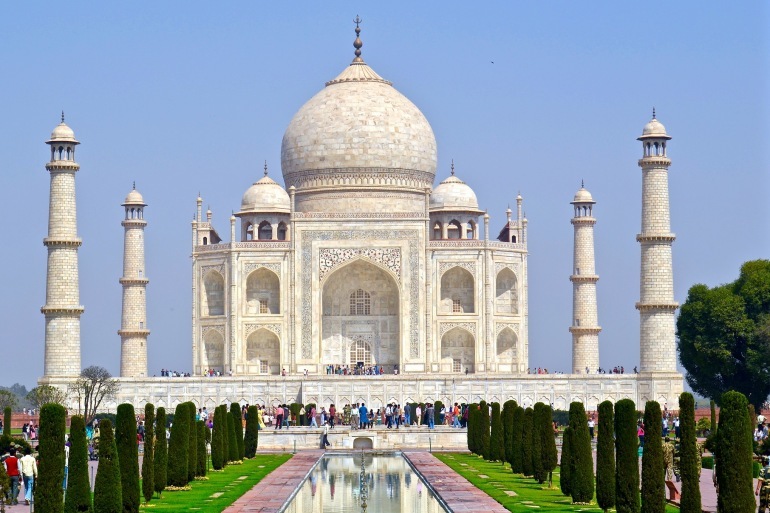 Embrace the magic of India on this outstanding introductory tour of the subcontinent. You'll be privately guided through the country as you experience the highlight's of India's Golden Triangle in pure luxury. Marvel at the spectacular Red Fort and the impressive Jama Masjid in Delhi; watch the play of light and shadow on the white marble walls of the world's most famous monument to love, the splendid Taj Mahal in Agra; and take a stroll through Rajasthan's regal past at the magnificent Amber Fort in Jaipur. No reviews yet for this trip. Browse other reviews below for Cox & Kings. Cox and Kings are excellent for customising a tour to suit the traveller's needs. They may cost a bit more but it's well worth it. Dealing with Roop Kumar has been a pleasure.He has booked good vacations over years. Cox kings value for money. Found the company to be very helpful and efficient. Upon arrival in Delhi, you will be welcomed by your Cox & Kings local representative and transferred to your hotel. Immerse yourself in the grandeur of the past as you explore Old Delhi's Red Fort, an opulent bastion of the Mughal Empire. Also visit Shah Jahan's incredible Jama Masjid, one of the largest mosques in the world. Savor a local lunch and then take some time on your own this afternoon. You can explore the area around your hotel, hire a private guide to introduce you to some of the city's other sights, or just relax and enjoy the amenities of your hotel. Depart on your journey to Agra. When you arrive in the former capital of Hindustan, head straight to the exquisite white marble mausoleum of the Taj Mahal, which Emperor Shah Jahan built as a shrine to his everlasting love for his queen, Mumtaz Mahal. Then, discover the palaces, mosques and halls of audience of magnificent Agra Fort, a walled city built out of red sandstone in the 16th century. Pass through the monumental Delhi Gate to explore the Golden Pavilions, extensive gardens and grand towers of the fort. In this once-impregnable fortress, discover the many hidden rooms and immerse yourself in the grand legacy of the Mughals in India. Option: Enjoy an exciting Tonga ride to Taj Mahal. Depart Agra for the Pink City of Jaipur. En route, explore Fatehpur Sikri, the enigmatic red-sandstone city built by Emperor Akbar as his capital and abandoned just 15 years later. Stop for lunch at Bharatpur and continue your journey to the heart of Rajasthan. Upon arrival, enjoy your wonderful hotel. The princely states of Rajputana, now Rajasthan, were once the domain of courageous warriors and powerful dynasties. From the massive ramparts of the intimidating Amber Fort, savor the breeze and look down upon the shining waters of Maota Lake and the labyrinthine, historic old city. Back in town, spend some time admiring the lovely Hawa Mahal, or the Palace of Winds, a favorite of the royal ladies of the court, because it provided a place where they could watch the regal parades without being gazed upon by the commoners. After your tour, sit down to a tasty lunch at a local restaurant. The rest of the afternoon is yours at leisure to continue your explorations of the city, visit the vibrant local bazaars or just relax and enjoy the amenities of your hotel. After breakfast this morning, head straight to the heart of the city to explore the history of the gem of Rajasthan at the City Palace Museum. In addition to housing some of the finest art, royal jewelry and cultural artifacts of the Pink City, the City Palace remains the home of the current Maharajah of Jaipur and his family. Option: Visit Jaipur's City Palace in a vintage car. Bid farewell to the romance of Rajasthan and take the skies as you fly back to Delhi. Upon arrival, visit the red sandstone tower of Qutab Minar, built to celebrate the onset of Muslim rule. Also, soak up the atmosphere at the garden tomb of Emperor Humayun. Enjoy the rest of the afternoon at leisure. This morning after breakfast, transfer to Delhi's International Airport to board your onward flight. Price per person in US dollars based on two people traveling together, double occupancy and subject to availability.